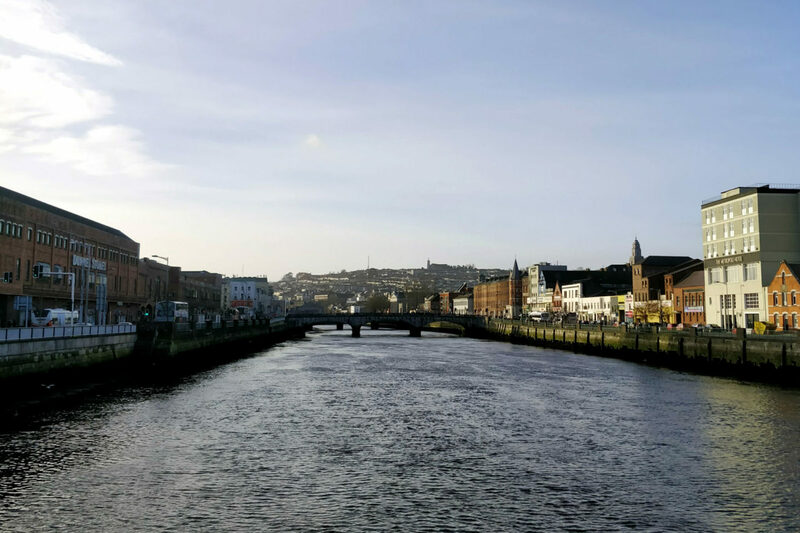 Your itinerary for an amazing day in Cork. I’ve been living in Ireland for a few months short of 5 years, and I finally visited Cork. I’ve danced around it, driven the whole country, seen the tiny towns and breathtaking cliffs, but never landed in Cork City. Until now. 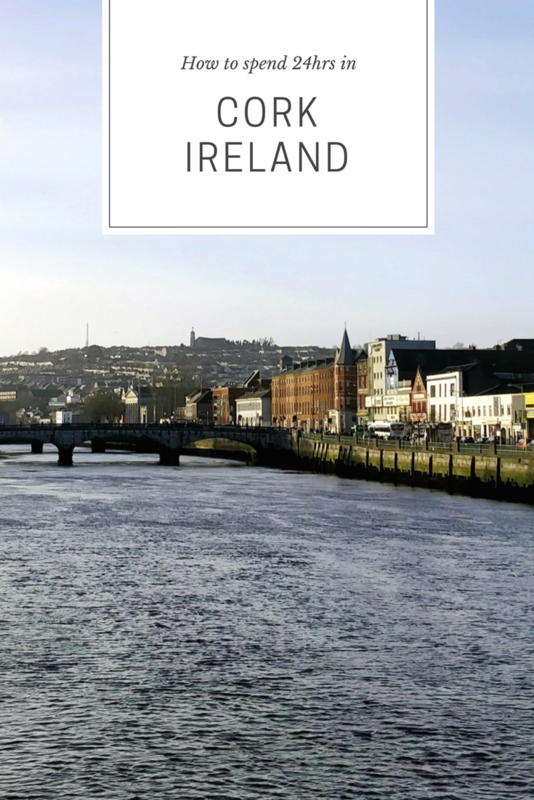 Here’s how I spent an exciting 24 hours in Cork, Ireland! 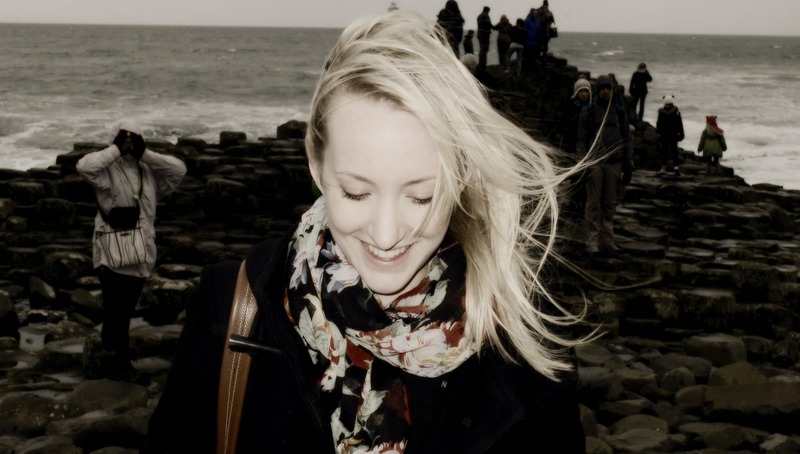 Cork seems to be filling up quickly with trendy brunch spots. In fact, this one doesn’t take bookings for smaller groups! It opened at 11:00am and we strolled in around 11:30am. It was nearly empty when we arrived and we were seated right away, but it was nearly full by the time we left. 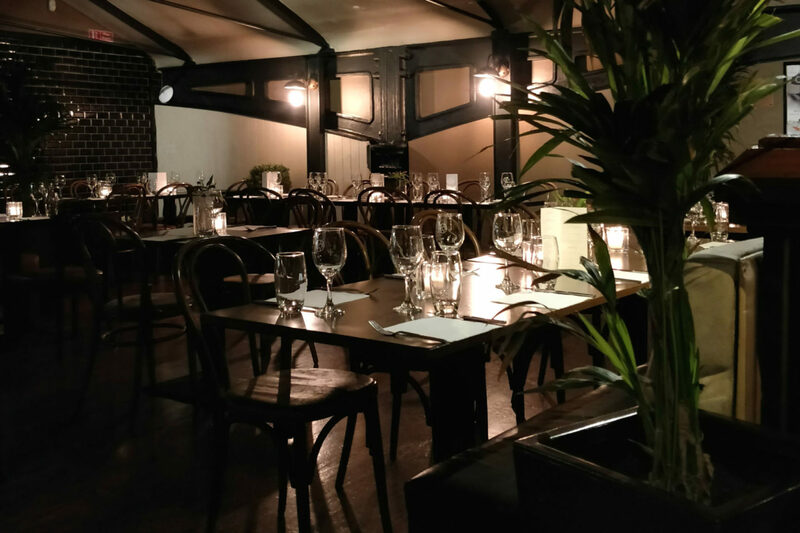 A bustling bar in the evenings, Brick Lane transforms into a hip restaurant for brunch and dinner. The brunch menu was exactly what our heads needed, and we filled up on everything from the Full Irish to Belgian Waffles. Go for the early bird! From start to finish the experience at this restaurant was lovely. The hostess was funny, the waiter was thoughtful, and the food was great. I had the Filo Wrapped Prawns, Thai Style Yellow Curry, and topped it off with a rich Flourless Chocolate Cake. The two-story restaurant has a bustling ambiance (I took the above photo before everyone arrived!) and you can’t help but feel like you’re in the middle of it all. Truth be told, you are. If you’re heading onward for the evening you’re in luck, it’s located right in the centre of town. Locals may find this suggestion controversial. 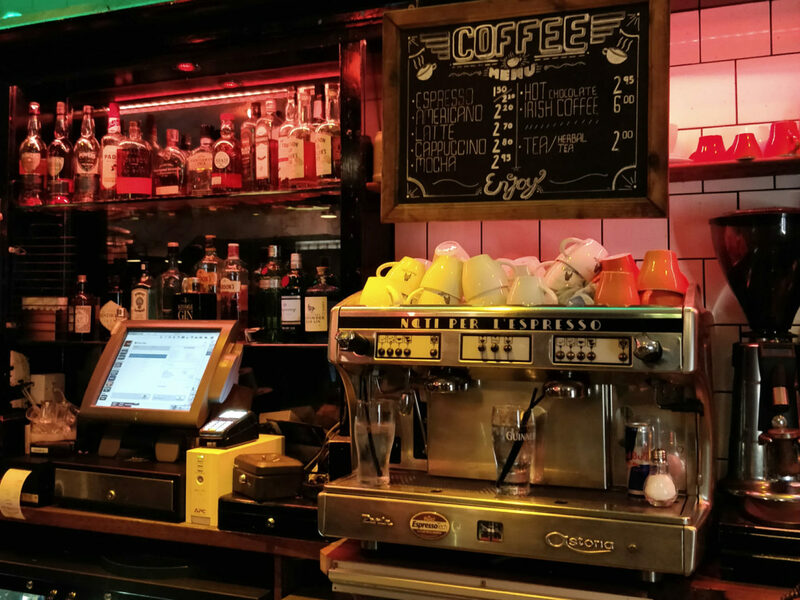 Reardens is one of Cork’s liveliest bars. It’s a great place to dance the night away with your friends or get lost in a crowd for a night. It’s mainstream, it has a minimum age entry of 23, it’s big, and it’s busy. Sure there are lots of other hipster spots opening up, but this is a safe bet for a good night out. My trip to Cork was a last minute decision. Or rather, the execution was last minute! We booked everything around three days before. When searching for a place to stay, we were looking for something cheap and cheerful, a simple place to rest our heads for one night while we were in the city for a friend’s birthday. 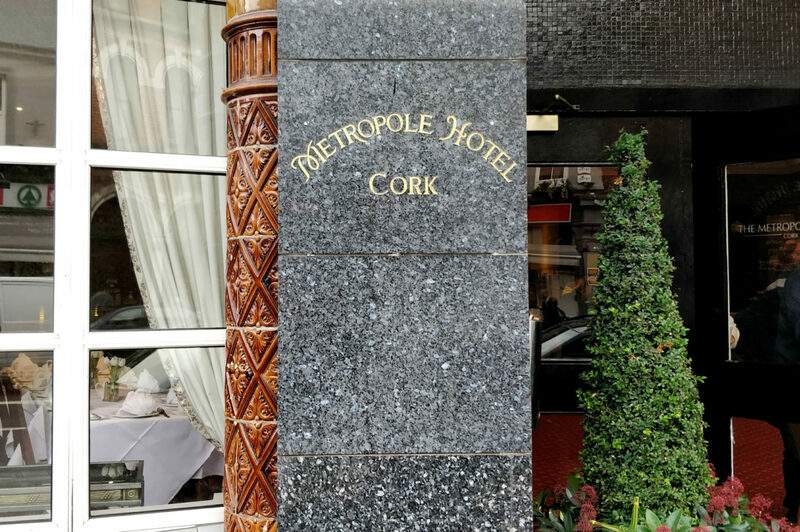 We came across the Metropole’s 3-person room and were first interested because of the good price. From there we saw the amenities, including restaurant, pool, gym, and hot tub. Then we got excited about the 12pm check out time. And finally, it’s a 7 minute walk from the bus station! What I wasn’t prepared for was the friendly hospitality and helpful nature of the staff from the minute we arrived. We had such a lovely time, the hotel is beautiful and very close to the centre, and the pool is fabulous. This is a gorgeous cafe with all the trimmings. Perry Street Market Cafe serves everything from salads to cakes to coffees. We shared the largest piece of red velvet cake I’d ever seen (same as above! ), and sipped on soy lattes watching the world buzz along. You order at the till at the front, and they drop it off to you when it’s ready. It was quite busy when we arrived around 2:00pm on a Sunday afternoon, but with such a lovely atmosphere, I wasn’t surprised. St Patrick’s Street is where you want to go for your shopping. It has all the big brands, including a Brown Thomas! It’s where I discovered my new favourite (though not Irish) shop, Sostrene Grene. Part homeware, part DIY, this shop was so much fun to browse. Having looked at their website I now know they have at least 200 stores across Europe, not sure how I missed that one.. I know, I know, the train is so much more comfortable. The thing is, it’s a 3 hour bus ride and a 2.5 hour train. You may find it easier to walk around in the train, but how often do you really get up? Unless you buy your tickets well in advance, the train is twice as expensive as the bus. 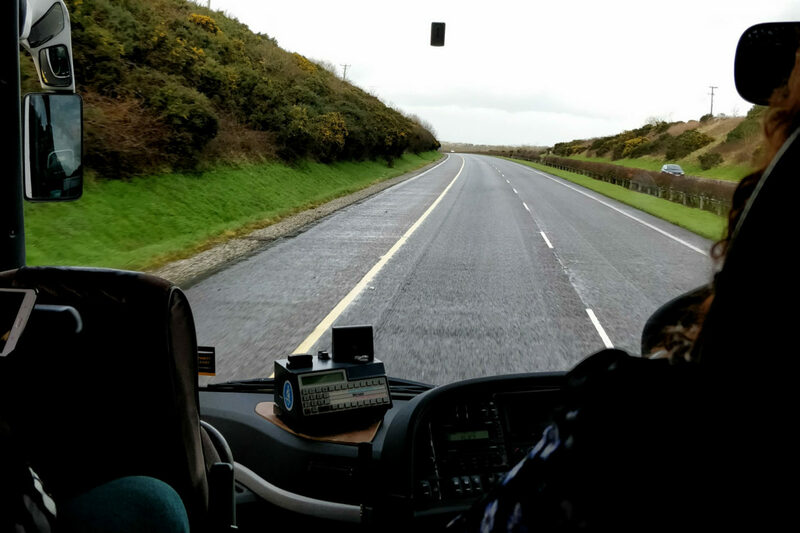 And, for anyone not from a country as small as Ireland, 3 hours on a bus is like going to your Aunt’s house for Thanksgiving dinner. We used gobus.ie, bought our tickets a few days before for a total of 23 EUR return, and giggled all the way to Cork. Fun Fact: For the first time ever, all of these photos were shot on my OnePlus 5t smartphone. Get 20 EUR off yours here.